For farms with small to large herds, we understand the importance of having local, experienced large animal veterinarians close by. Our veterinarians can perform a range of services on site as well as within our facility. The team at Veterinary Medical Center is pleased to offer both of these quality service options to our farm animal clients. We know farm animals require care from veterinarians with a diverse skillset. That's why all of our veterinarians are available to care for farm animals throughout Bedford County. The veterinary team at Veterinary Medical Center offers wellness care for dairy cattle, sheep and goats in the Everett area. 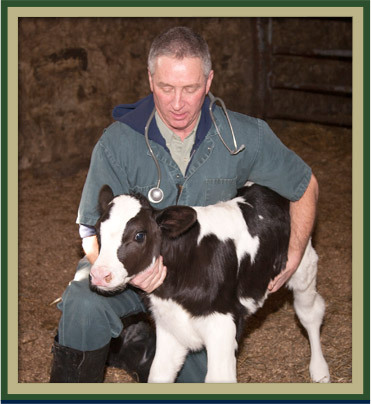 For established clients, we provide monthly wellness visits to dairy farms. Goats and sheep are also seen regularly at our veterinary office in Everett, PA.
During our monthly farm calls, one of our experienced veterinarians can provide various services as needed. These include examinations, reproductive consultations, on-site surgical procedures, preventative care, and diagnosis and treatment of sick cows. For more information about veterinary care for farm animals in the Everett area, please contact Veterinary Medical Center at (814) 652-5108.